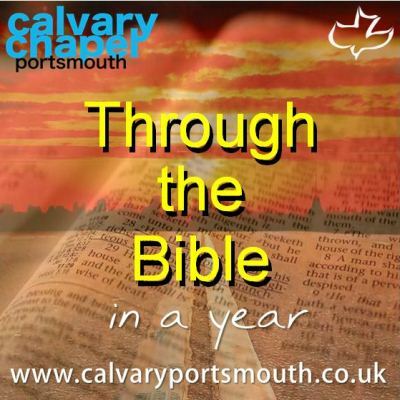 This study, taught by Pastor Barry Forder, is the 48th and final session of our ‘Through-the-Bible-in-a-Year’ series recorded during 2014 as part of our Sunday morning family services. In this study we review chapters 12-22 of the Book of Revelation. Chapters 12-22 take us from the unveiling of ‘the man of sin’ aka Antichrist, and his accomplice, the ‘False Prophet’ (ch 13), through the 7 trumpets and 7 bowels of wrath (chapters 14-16) taking us through the last 3 1/2 years of the Tribulation. John then sees a vision, that seems to jump back to the first 3 1/2 years, of the Apostate Church system, known as ‘Babylon The Great’. John sees her downfall which paves the way for the final world religion which will be the all-out worship of Antichrist himself. The book concludes with the Second Coming of Jesus (ch 19) which ushers in His 1000 year millennial reign on the earth that then gives way to the eternal kingdom with the New Heaven and New Earth.